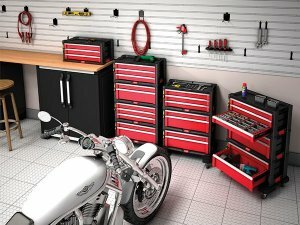 Do tool chests need to be made of metal? Well if Keter is making them, their answer is no, as Keter is a manufacturer of plastic products. 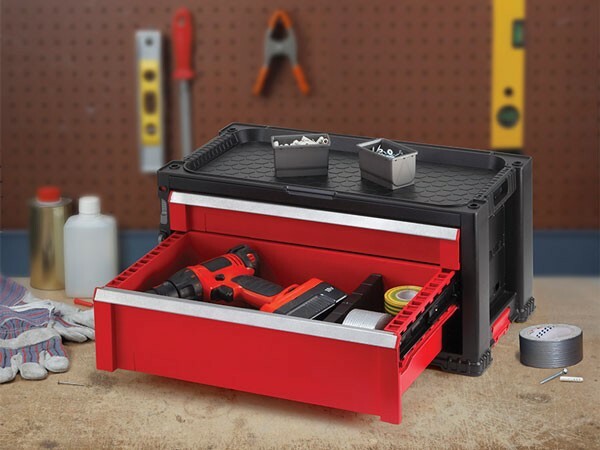 Their modular tool chest system will allow users to customize their tool storage to match their needs, and adjust as they grow. The Keter Tool Chest System is made up of two tool chest modules that can be mixed and matched for a number of different options. You can purchase each 3-drawer or 2-drawer module separately or as a 5-drawer or 7-drawer package. The 5 and 7 drawer packages also include casters that allow the chest to be rolled around your shop or garage. Each Tool Cheat Module features a central locking system that can keep the drawers from accidently opening when the system is being moved. To ensure the stack is safe and secure, each chest can be latched to the one below it. Depending on the chest, it will also come with either drawer dividers or removable small parts bins. You might not know the Keter name, but you have probably seen their products sitting on store shelves under a number of different names. 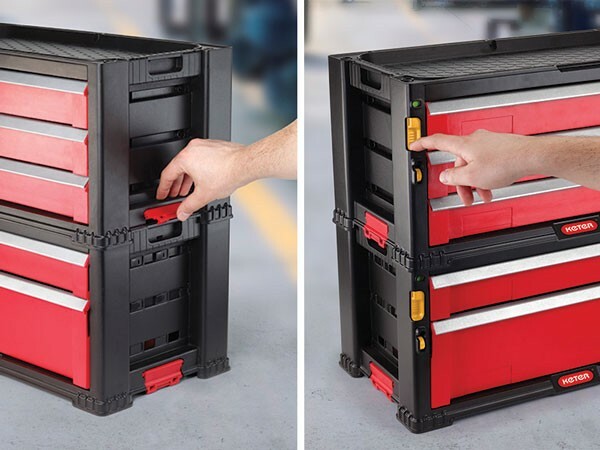 One of their most popular storage products is their plastic cantilever toolbox, which Kreg uses as a toolbox for their Kreg Jig Kit. 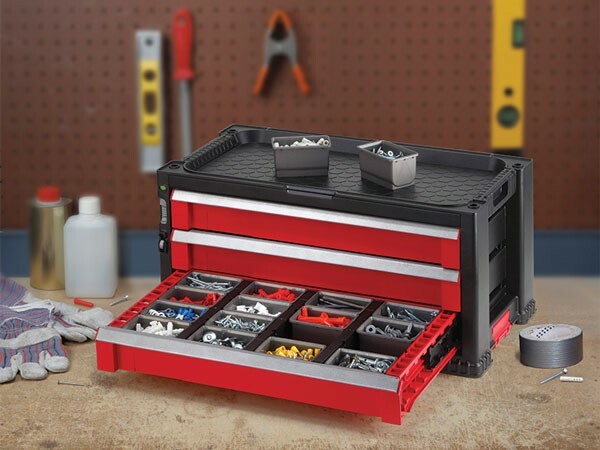 Unfortunately, I haven’t been able to find an online retailer that sells the Keter Modular Tool Chest System, but they could be in a store under a different name.